Geospatial analysis shows significant overlap between the ocean sanctuary areas under review and geologic basins estimated to contain significant deposits of oil and gas. Marine sanctuaries off the California coast could be at risk from new oil and gas drilling because they contain billions of barrels of oil and significant natural gas resources, according to a new analysis by Greenpeace researchers in the US. Earlier this year, President Trump issued a blizzard of executive orders ripping up environmental protections and opening up public lands and waters to energy extraction. 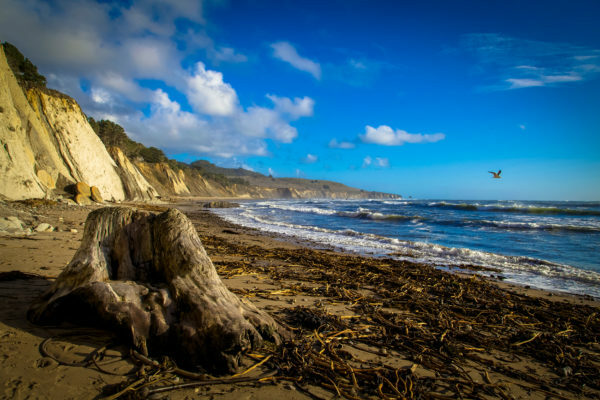 While attention has focused on leaked plans to reduce the size of national monuments a parallel process being conducted by NOAA and the Department of Commerce could wind up reducing protections for national marine sanctuaries off the coast of California as well. Those areas could then potentially be included in new lease sales for offshore oil and gas drilling. Trump’s America-First Offshore Energy executive order restarted the offshore oil and gas leasing process, and it also asked Secretary of Commerce Wilbur Ross to review six national marine sanctuaries and five marine national monuments that were either designated or expanded by President Bush or President Obama since 2007. 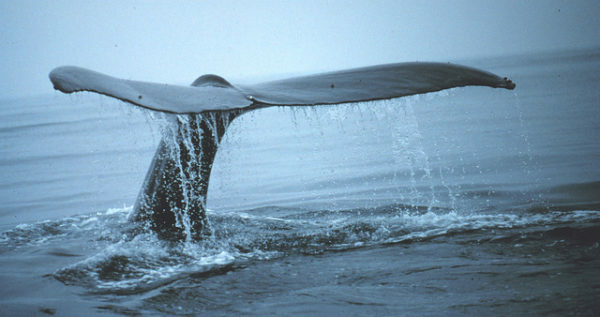 Four of these sanctuaries are located off the California coast. The Greater Farallones, Cordell Bank, and Monterey Bay national marine sanctuaries form a contiguous block of protected ocean, running from north of San Francisco to south of Big Sur. A fourth NMS protects the waters around Channel Islands National Park, located off the coast of Southern California. Trump’s order makes it clear that expanding oil and gas drilling is a key goal for the new review, explicitly directing NOAA to consider “opportunity costs associated with potential energy and mineral exploration and production” in the areas under review. The protections were put in place to safeguard a diverse and productive marine environment, home to numerous endangered species. Campaigners fear an oil spill — like the catastrophic 1969 Santa Barbara spill — would devastate the ecosystem and the coastal economy. Oil extraction in the region would also be incompatible with efforts to tackle climate change. NOAA accepted public comment on this plan over the summer and a report from Secretary Ross is due by October 25. A geospatial analysis shows a significant overlap between the sanctuary areas under review and geologic basins estimated to contain significant deposits of oil and gas. The expanded regions of two sanctuaries (Farallones and Cordell Bank) overlap with geologic basins estimated to contain oil and gas by 351,017 acres — an area almost as big as Sequoia National Park. The two basins overlapping with these sanctuaries are estimated to contain 3.4 billion barrels of oil and 3.6 trillion cubic feet of natural gas, although it is unknown how much of those resources would be found in the overlap regions specifically. Although Trump’s current review does not consider the original sanctuary designations, only their recent expansion areas, these original sanctuary regions overlap with an additional 1,800,000 acres of oil and gas bearing geologic basins. In total, 5.2 billion barrels of oil and 5.2 trillion cubic feet of gas are estimated to be found off the Central California coast. Analysis: Who wants to drill? With oil trading around $50 per barrel, some have downplayed industry interest in gaining access to the Pacific, ranking it behind other offshore priorities like the Eastern Gulf of Mexico and the Atlantic coast. However, government assessments indicate that much of the Pacific oil would be economical to extract even with today’s low prices, and oil companies from Chevron to ConocoPhillips to Statoil have explicitly called for Pacific planning areas to be included in future offshore planning. New offshore lease sales in the Pacific or elsewhere would not be scheduled until 2019 at the earliest, or 2024 at the latest. The outlook for new crude oil projects may look quite different by then, but the door to future exploration may be cracked open by decisions Trump makes in the next few months. Tim Donaghy is a senior researcher at Greenpeace US.